Alec MacGillis had a nice Washington Post piece on the Mayo Clinic’s low provision of care to Medicaid patients and the even more dicey policies of Mayo’s Glendale, Arizona site to stop accepting Medicare primary care patients. If Arizonans want Mayo primary care, they will have to pay an annual $250 fee, plus a pretty stiff $175 to $400 per visit. Mayo will still provide these patients more complex--and lucrative--procedures. 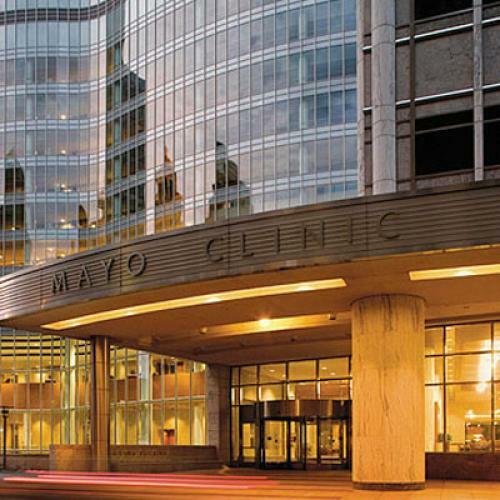 As MacGillis details, 5 percent of Mayo’s Rochester Minnesota patients are on Medicaid. The Medicaid caseload is 29 percent at the other local hospital. Mayo will no longer accept Nebraska or Montana Medicaid patients, though it is arranging for some currently receiving care. Mayo receives much praise for its high-quality care. Some effusive praise has come from the President of the United States. That praise is well-deserved. So the above paragraphs should give one special pause. Mayo and other flagship institutions provide excellent, sometimes surprisingly cost-effective care. Yet how should we think about these institutions in light of the reality that many choose in varying degrees to channel their services towards a relatively privileged slice of the American population? Most obviously, MacGillis’s story provides a timely reminder about the nature of elite medical care. The best medical centers conduct amazing scientific research and provide compassionate care. They are economic and social pillars of their communities. Flagship institutions such as Mayo provide crucial models of best-practice innovation and care. Admirable as they are, they are not charities in the normal sense of that term. They are also economic animals that respond to business opportunities and imperatives. I sent MacGillis’s article to a friend working the business side at the University of Chicago Hospital. He jovially responded: "Location, location, location." UCH has attracted serious criticism for some tough medical and financial decisions that affect Medicaid patients and the uninsured. UCH and Mayo are exploring related strategies: looking to others to provide basic primary care, while delivering more complex--and more lucrative--procedures and advanced care. UCH could use some help on Chicago’s south side, which is a lot closer to Rochester, Minnesota than are Mayo’s Arizona and Florida sites. Medicaid accounts for more than 30 percent of UCH’s inpatient stays, six times the rate of Mayo and far higher than the rate at Northwestern, our most prominent Chicago competitor. About 2/3 of our emergency department patients are on Medicaid or are uninsured. This is a serious financial challenge, especially given Illinois’ low levels of Medicaid reimbursement. MacGillis interviews some doctors who note the naïveté of holding every hospital to the standards of technical proficiency Mayo achieves. This is right. I admire Mayo’s team approach, and I hope it is widely emulated. An institution that serves more severely disadvantaged patients will face greater obstacles than Mayo does in providing excellent care. In this light, the VA’s quality improvements over the past 15 years are especially impressive. This story illustrates two final points. First, by any sensible account, our medical care system must place greater emphasis on primary care. It’s not healthy that elite medical centers are moving the other way. Current reimbursement policies strike the wrong balance between specialty and primary care. This brings immediate tangible costs. Less tangibly, it sends a terrible signal about what is valued in the medical economy. Thousands of medical students and residents are being socialized to see primary care as a subordinate activity. Second, we’re going to see more pushing and shoving in the coming years, as providers and the federal government negotiate these matters. Whatever happens this year, the federal government will probably squeeze medical providers harder than it has in the past. Hard bargaining over prices and utilization may prove unavoidable as health expenditures continue to grow. This won’t be easy or painless. A Mayo spokeswoman defended the organization’s policies by citing, accurately enough, "the reality of the health-care business." I doubt that unsentimental stance is highlighted in the glossy brochures. As taxpayers and patients sitting across bargaining table from these great organizations, we should be a little unsentimental, too.